In the name of national security, the Trump Administration has taken numerous steps that threaten the human rights of asylum seekers and other immigrants. Several of these punitive actions—such as family separation, asylum bans, and the “Remain in Mexico” plan—received significant attention. Less noted, however, is the increase in—and overuse of—immigration detention. In January 2019 Immigration and Customs Enforcement (ICE) reported that its average daily detainee population climbed to 48,000 people—an all-time high. Now President Trump is requesting $4.2 billion for 52,000 detention beds. That’s $798 million more than the amount allocated by the Senate Appropriations Committee. While the administration claims the funding is needed “to address the recent surge in illegal immigration across the Southern Border,” border crossings are at historic lows. The increase in immigration detention is due largely to the refusal of ICE to release people on parole or other legal authority, often in violation of its own standards. Other than Texas, California has more ICE beds than any other state. It is home to the second largest adult detention facility in the country, the Adelanto ICE Processing Center, which holds up to 1,940 people. In September 2018 the Department of Homeland Security’s (DHS) Office of the Inspector General (OIG) published a report on Adelanto, documenting deficient medical care, overly restrictive segregation, and violations of ICE’s own detention standards. Seven people died there between 2010 and 2017, making it the deadliest immigration detention center in the United States. From October 2018 through early January 2019, Human Rights First investigated immigration detention in California. Researchers visited the Adelanto facility, the Otay Mesa Detention Center, the Imperial Regional Detention Center in Calexico, the Mesa Verde Detention Center in Bakersfield, and the Theo Lacy Detention Center in Orange County. The Orange County Sheriff denied our request to visit the James A. Musick Detention Center, the only other detention facility in Southern California. During these visits, researchers accompanied by a team of health and legal professionals spoke to over 115 detainees as well as ICE officers and facility representatives. Many asylum seekers and other immigrants are held for months and years even though they qualify for release under U.S. law, regulations, and other relevant criteria. They include Patrick, a gay man from Namibia finally released after three years, a man from Russia released after 18 months when he was granted asylum, and a wheelchair bound Mexican woman detained for 14 months. At the Imperial facility, a Honduran asylum seeker has been detained for over four years despite having family in the United States. Detention is a barrier to legal representation. Many detained asylum seekers and other immigrants do not have a lawyer. The largest detention facilities are located more than one hundred miles from the nearest metropolitan centers, where legal services providers and attorneys are located. Communication barriers make it difficult for those in detention to contact potential counsel. Compounding the problem is a general lack of pro bono legal services for immigrants. Many held in immigration detention in California report denials of, or deficiencies in, health care, long waits to see health professionals, and a lack of proper medication. ICE officials at the Imperial detention center failed to provide an Indian asylum seeker diabetes medication for 11 days, even though he informed health staff of his condition upon arrival. A 33-year-old hearing-impaired Mexican asylum seeker waited over six months for a hearing aid after his old one broke. Detained women said numerous gynecological problems go untreated. Further, following a December 2017 policy change ending the presumption of release for pregnant women, ICE now detains many pregnant women in California despite the well-documented harmful effects of detention on both pregnant women and fetal development. Immigration detainees at facilities in California suffer sub-standard conditions and abuse. 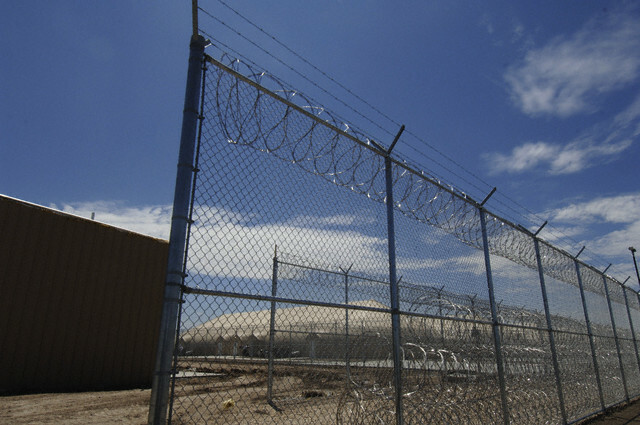 The OIG recently reported on sub-par conditions at both the Adelanto and Theo Lacy detention centers. DHS was sued during the summer of 2018 for detaining people in inhumane conditions at the Victorville federal prison. The suit asserts that detainees were forced to remain in their cells for most of the day, lacked access to showers, and were denied visits and telephone use. Transgender women recounted numerous instances of verbal abuse and transphobic slurs from both detention facility staff and other detainees, and of being placed in segregation without an opportunity to appeal that decision. Congress and the Trump Administration should end the massive overuse of detention, which not only violates the U.S. Constitution and human rights treaties, but also wastes billions of taxpayer dollars. Instead, ICE should use cost-effective and humane community-based case management programs, which produce near perfect appearance rates. Congress and the Trump Administration should also improve oversight, detention conditions, and legal release procedures. At the same time, the U.S. government, along with the states and municipalities, should provide more funding for legal representation for immigrants and asylum seekers, particularly those in detention. Human Rights First’s recommendations are more fully detailed at the end of this report.